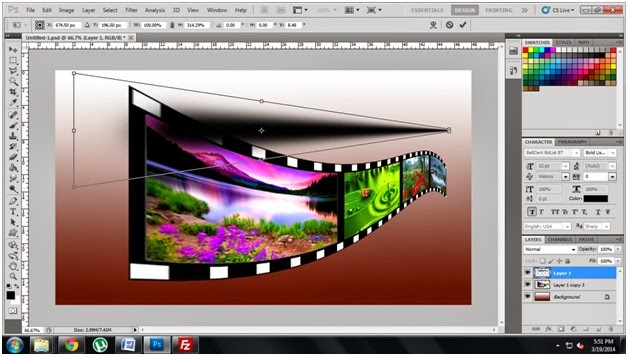 This is one of the nice effect done by using Photoshop. 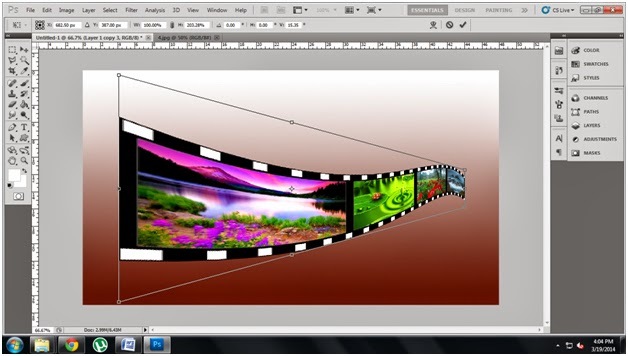 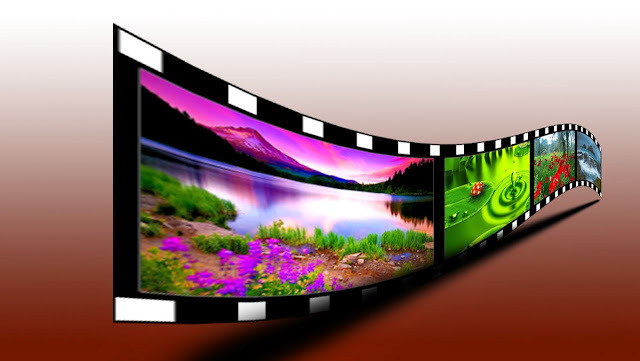 This type of 3d film roll effects will use various field in designing. 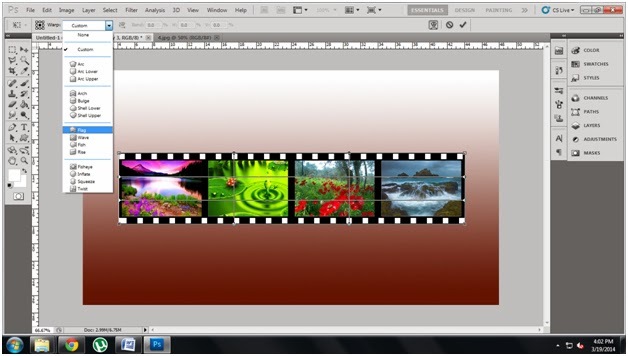 It is looking very nice and easy to create. 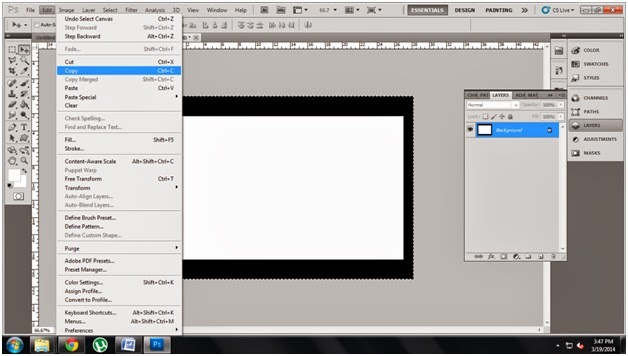 Here i provided step by step instruction with screenshot to better understanding. 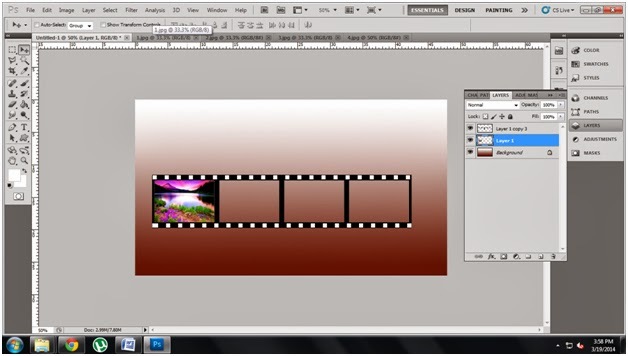 You can create this effect very easily to follow this below steps of instructions. 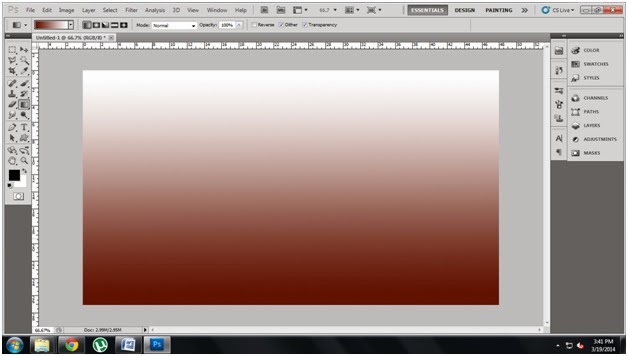 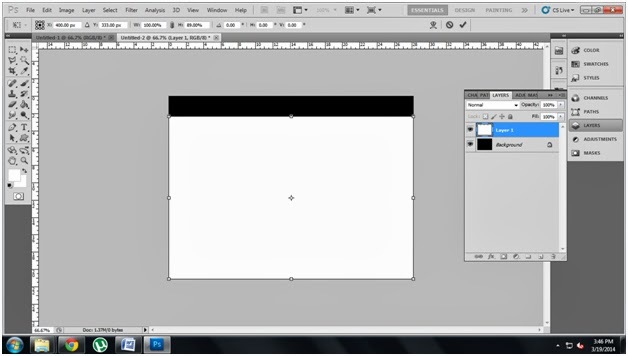 Step15: Make it as single layer (Select layer and press Ctrl+E). 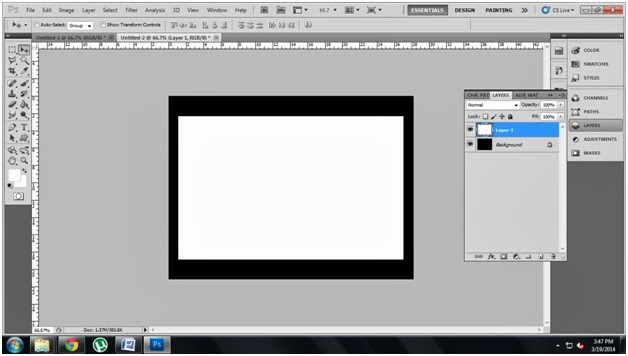 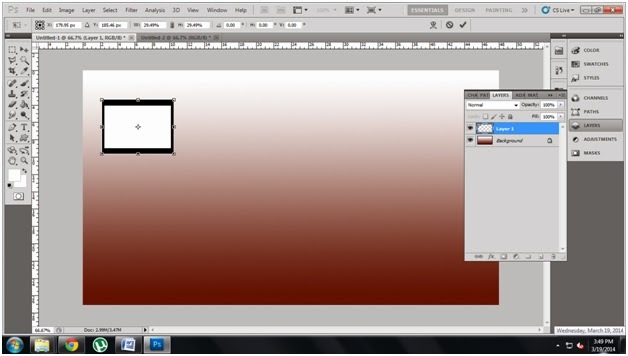 Step16: select Magic Wand tool from tool box and erase the white color in that diagram and make is as a below diagram. 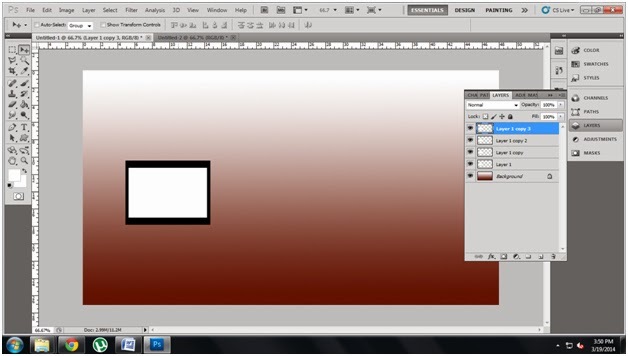 Step17: Choose brush tool and then go windows press brush you get like below window 24px squrebox fix spacing as a 292 like below window. 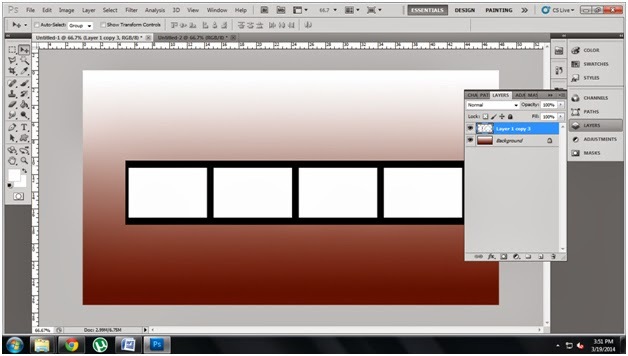 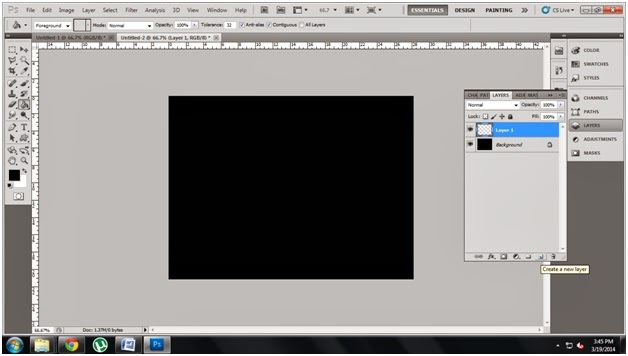 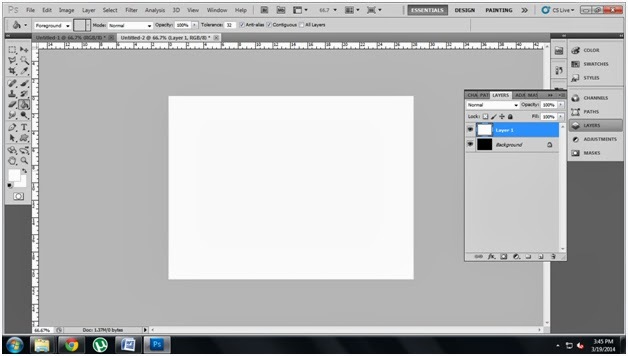 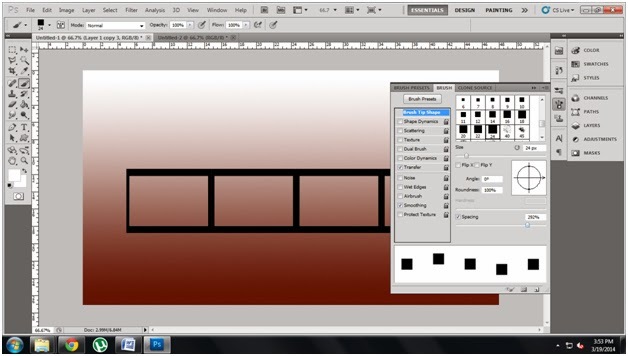 Step 18: using brush tool Press shift and click left corner and then drag to right corner like that you create below also you can get like below diagram. 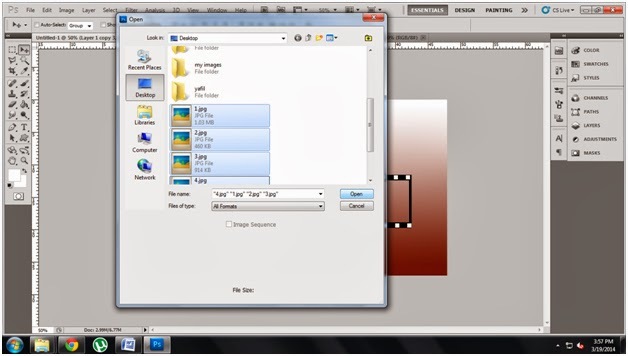 Step19: go to file open the 4 photos u want. 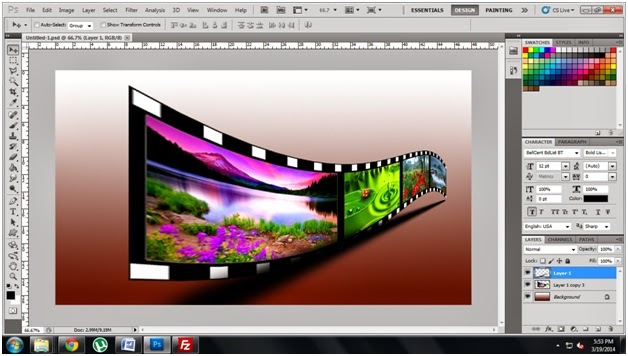 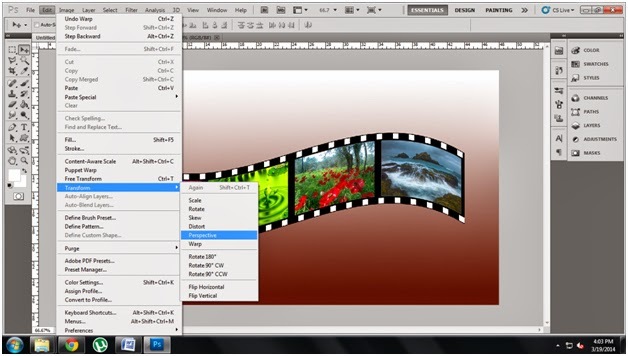 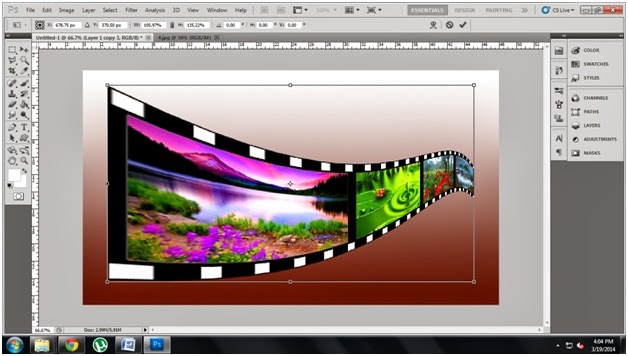 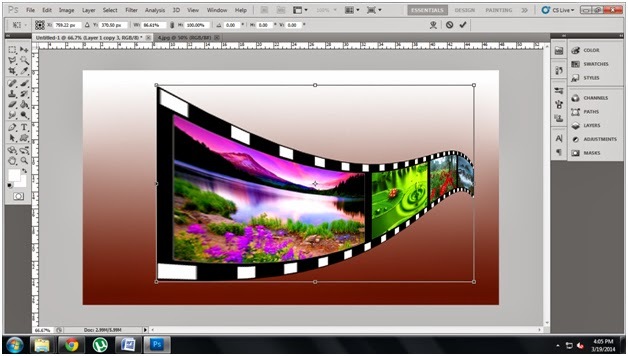 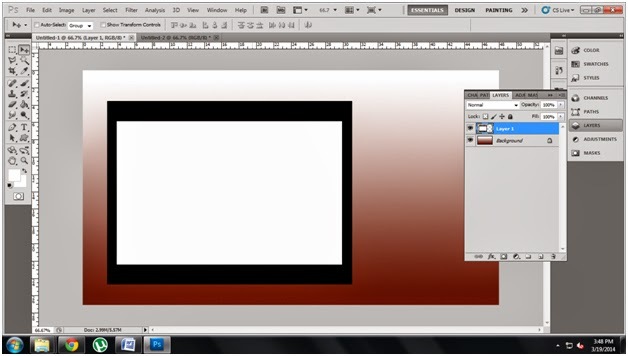 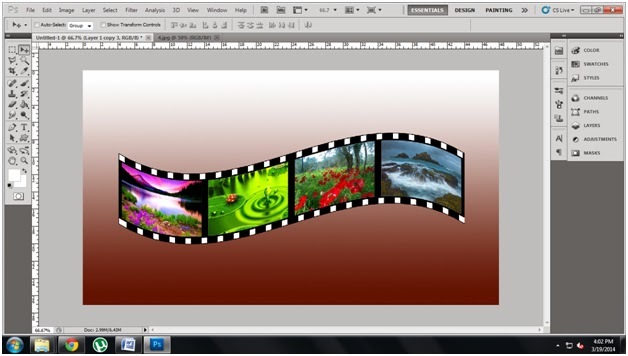 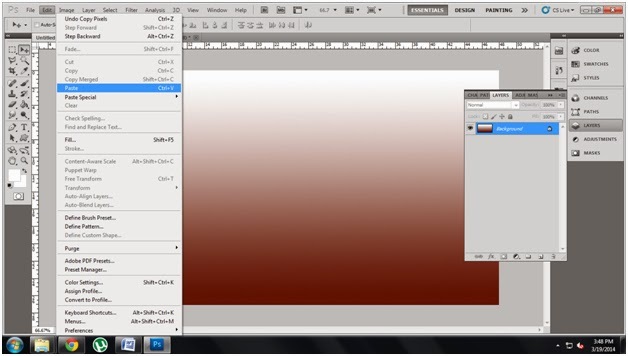 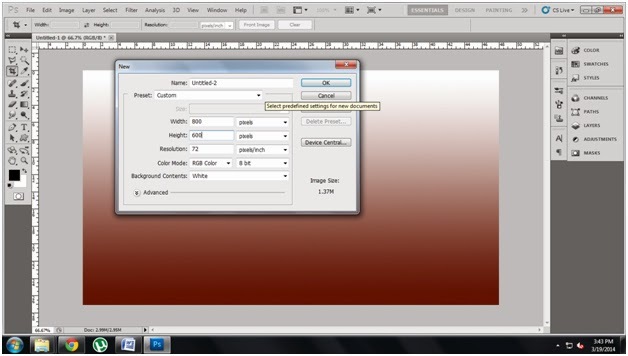 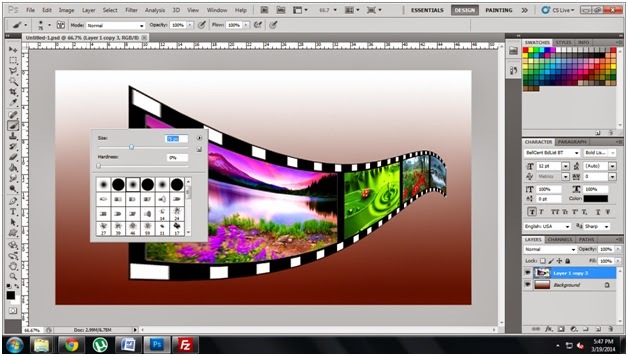 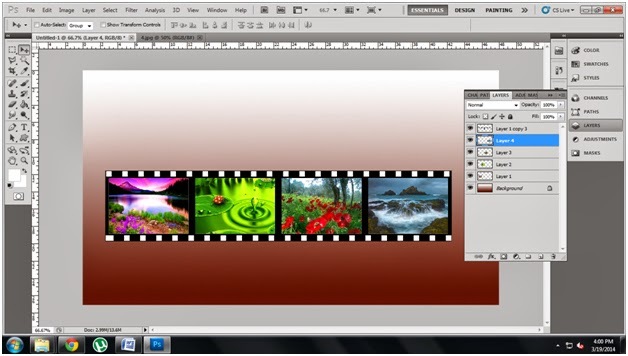 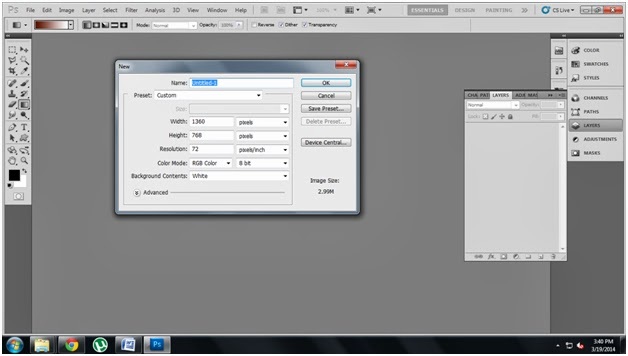 Step32: Select edit and select free transform adjust image shadow and fix the correct place like below diagram.